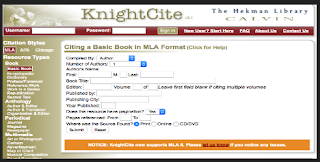 Generates citations in different styles including: MLA8, MLA7, APA, Chicago and many more. Sources supported include: books, digital images, film/ online videos, journal articles, online data base, websites, chapter/anthology, music/audio and over 50 other sources. It supports both manual and automatic citation generation. Offers a pro version with more advanced features. Offers detailed guides covering popular citation styles. It supports the following citation styles: APA, MLA7 and Chicago. Offers automatic as well as manual citation generation options. It lets you save and export your citations. Free version is limited and citations are deleted after four days of inactivity. Generating citations in various formats. A grammar and plagiarism checker. Offers help with style mechanics. Offers relevant guides and resources. It supports serious citation formats. It supports several sources (e.g., book, magazine, newspaper, website, journal, film and many more. Offers both auto-fill mode and manual entry mode. Has a premium version with more features. Supported citation styles are : APA6, MLA7, MLA8, Chicago (author-date), CSE/CBE (author-date). Sources supported are: a book, a chapter or essay from a book, magazine article, newspaper article, scholarly journal article, website. 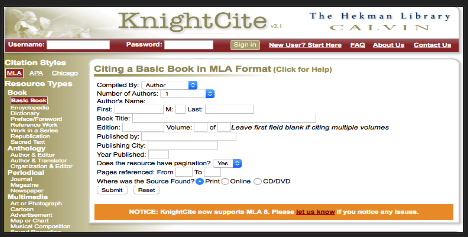 It supports four citation styles: MLA, APA, Chicago, and MLA8. Offers only manual generation of citations. It supports several sources from books to online articles.